Penn State Health’s planned acute care hospital in Cumberland County is moving forward. The Hampden Township Planning Commission advanced the project’s land development plan on Jan. 10 to township commissioners for a vote. Penn State Health representatives presented the final land development plan for Penn State Health Hampden Medical Center during a public hearing before the planning commission. The health system previously held three meetings with residents of adjacent developments to share the project plans, and the development plan under review by the township incorporates resident input. A traffic study of the surrounding roads and intersections recommends several improvements to mitigate additional traffic in the area. Penn State Health submitted the findings of the traffic study to the township with its final land development plan and has committed to partner with the township and the Pennsylvania Department of Transportation to help make recommended improvements. The new hospital is planned for 44 acres in the Wentworth Corporate Center along Wertzville Road near Interstate 81, in the heart of one of the fastest-growing counties in Pennsylvania. The new facility will give residents of Cumberland County, Perry County and the broader Harrisburg region access to the high-quality, comprehensive health services of Penn State Health without the drive to Hershey. Hampden Medical Center will feature 108 private inpatient beds, an emergency department with observation beds, physician offices, various specialty inpatient services, imaging and lab services and complete medical and surgical capabilities. The hospital site also will include an attached outpatient medical office building. 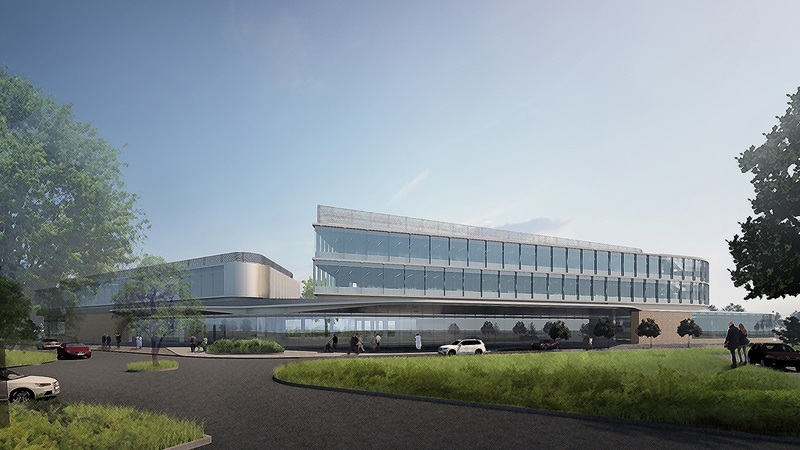 The three-story, 300,000-square-foot hospital is being built into the landscape to take full advantage of the natural surroundings and minimize impact to the area’s noise, light and sightline standards. The hospital will create hundreds of jobs, both during construction and once it is operational. It will feature an open medical staff, with a plan to develop collaborative programs between Penn State Health faculty physicians and private community providers. The organization anticipates the Hampden Township Board of Commissioners will discuss and vote on the plan in February or early March. The project plan also is on the agenda of the Penn State Health Board of Directors and Penn State Board of Trustees meetings in February.